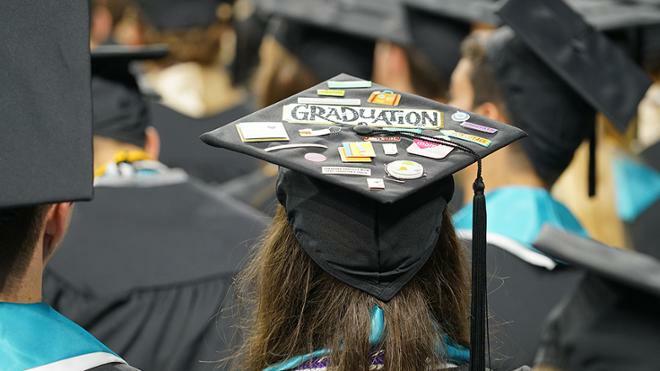 Editor's note: This release was updated April 16, 2019 to reflect speakers at the School of Professional and Continuing Studies graduation ceremony. Nancy Kramer, chief evangelist of IBM iX, will deliver the main commencement speech during the ceremony May 12 at 2 p.m.
Susan Quinn, president and CEO of circle S studio, will deliver the commencement address for the Robins School of Business MBA ceremony. Michael Herring, Commonwealth’s Attorney for the City of Richmond, will address graduates of the Richmond School of Law. Main Commencement, May 12, 2 p.m.
Nancy Kramer, chief evangelist of IBM iX, is responsible for strengthening relationships with CMOs and across the C-Suite, as well as inspiring and sharing the evolving story of IBM iX. With a belief that creativity and technology have the power to change the world, Kramer founded Resource/Ammirati with Apple as its first client in 1981. Over the next three decades, she grew the firm into a multi-office digital marketing pioneer with clients such as Victoria’s Secret, P&G, and Nestle by delivering innovative, consumer-centric marketing experiences. In 2016, she helped usher in a new era for the company, when it became IBM’s first creative agency acquisition, becoming part of IBM iX, the world’s largest design, digital, and cognitive consultancy. MBA Commencement, May 10, 5:30 p.m.
Leveraging over a 30-year track record of running a successful consulting, branding, and digital agency and serving on numerous non-profit and corporate boards, Susan Quinn has become a trusted ally to C-level executives, from Fortune 500 companies to growing regional firms, by focusing on the key levers impacting growth. As president and CEO of circle S studio, Quinn ensures her efforts are grounded by a solid ROI that delivers impressive results. Quinn volunteers her time as a mentor to UR MBA students. School of Law Commencement, May 11, 2 p.m.
Michael Herring was sworn in as the Commonwealth's Attorney for the City of Richmond on Jan. 3, 2006. He previously worked for the Office of the Commonwealth’s Attorney in 1992, where he served as a senior felony trial attorney for violent crimes and narcotics offenses. He also practiced law with Bricker & Herring, LeClair Ryan and Hunton & Williams. Herring served as the first African-American president of the Richmond Bar Association in 2005, is a past chairman of the Board of Governors of the Criminal Law Section of the Virginia State Bar and of the Third District Attorney Disciplinary Committee. He is a member of the adjunct faculty of the University of Richmond Law School. The SPCS student commencement speaker is selected by committee from among the top graduating students. The 2019 recipient is Griffin Trau, a Master of Liberal Arts student. As a walk-on student-athlete in football, Trau became one of the most successful place-kickers in school and conference history. He is the second leading scorer in University of Richmond history. Trau was honored as the 2019 Colonial Athletic Association’s Football Student-Athlete of the Year. Trau was recently selected for the U.S. Fulbright Program and has received an English Teaching Assistantship in the Czech Republic. Upon completion of his Fulbright Grant, Trau will relocate to Washington, D.C. in late 2020 where he has accepted a position in government and public services with Deloitte Consulting. The alumni speaker is the recipient of the Gibb Family Distinguished Alumni Award, which recognizes the accomplishments of an SPCS alumni member as well as their support of SPCS. The 2019 recipient is Greg Mays, who received his bachelor's degree from SPCS in 2014 and master's degree in 2016. Mays is a 34-year veteran of the real estate industry. Currently, Mays and his wife Lynn, own and operate Greg B. Mays & Associates, LC, a local appraisal firm he founded in 1995, and are active in the appraisal business working with several banks in the Richmond market. He also holds the title of Property Manager at EXIT Realty Parade of Homes. This year, Mays is completing his second term on the SPCS Alumni Association Board, where he has served as the chair for the events committee, spearheading several key fundraising events. The faculty speaker is the recipient of the Itzkowitz Family Distinguished Adjunct Faculty Award, which is selected by the SPCS student body and recognizes the teaching achievements of an adjunct faculty member. The 2019 recipient is April Greenan, adjunct assistant professor of Liberal Arts. Greenan earned her doctorate in historical musicology from the University of Maryland. She founded McKay Music Library at the University of Utah, which she directed for 13 years, and also directed the Mariska Aldrich Archive, a collection of over 100,000 recordings and historical documents. A soprano, Greenan performed intermittently with local professional chamber ensembles, orchestras, and collaborative pianists. Prior to joining the adjunct faculty at SPCS, Greenan served on the music faculty of the University of Mary Washington.